Conflict is a normal part of life and it certainly was a normal part of life in the New Testament. Consider Paul. He battled with those who were opposed to his message of grace and he also had strong disagreements with his dear friends and brothers. 1. My most popular post – or least popular depending on your point of view – was my response to Michael Brown’s article in CharismaNews entitled “Confronting the Error of Hyper-Grace.” This post struck a chord (or touched a nerve) because everyday I would get up to find 50-70 comments waiting for approval. This was the first post where I had to turn comments off, otherwise I would still be reading dozens a week. 2. The second conflict of the year came as a big surprise. It happened when I speculated, surmised, and suggested with great equivocation that maybe hell is not a place of eternal torment. The fact is, none of us know for sure what hell may or may not be like. But when I challenged the traditional view of an eternal BBQ, I was BBQ-ed. 3. I also got rebuked for saying God doesn’t flog us with whips. Some folk were upset because I dared to suggest Hebrews 12:6 gives us an inaccurate picture of God. But all I did was interpret the written word through the Living Word – which is really the only way we can make sense out of scripture. 4. The final great conflict of 2013 came when I poked a stick into the beehive of inclusionism. Inclusionism is an idea that has gained currency with lovers of grace, but as I explained in September, there are at least 10 reasons why inclusionism is not good news. 5. One of the interesting things about inclusionism is how it particularly appeals to grace folk. This is understandable because the language of inclusion is the language of grace. Grace is inclusive but inclusionism is not grace. Don’t be fooled by words. I may be able to speak a few words of Chinese but that doesn’t make me Chinese. 6. Grace comes to us through faith but what is faith? Perhaps you have this idea that we have to faith our way into the kingdom, as though faith were a verb. But as I explained in August, faith is a noun. Indeed, faith is a rest. Our faith doesn’t compel God to do anything. Faith is resting in the happy revelation that he has done it all. 7. The great and humble Brennan Manning passed away in April. Since I am a fan, this provided me with an occasion to celebrate his life by listing some of my favorite Brennan Manning quotes. 8. In 2013 I wrote a book called The Gospel in Twenty Questions. After I finished writing it, I took a hard look at the manuscript and thought, It’s incomplete. I need a chapter called, “Should we do everything Jesus said?” An excerpt from that chapter, published here as “How should we read the words of Jesus?” resonated with many of you. 9. In the middle of the year, I shamelessly capitalized on the release of a certain movie to list 12 ways Superman is not like Jesus. 10. In 2013 I did two big series. The first one was on eternal security and began with the cleverly-titled post, “Once shaved, always shaved?” Well, I thought it was clever. 11. The reason I think our security is eternally secure, is because it rests on God’s promises to us. Indeed, this is what makes the new covenant new. God holds up both ends of the bargain. You may let go of Christ’s hand, but he will never let go of yours. 12. I also began a series on the wrath of God in the new covenant. A lot of people don’t like to talk about wrath, but our Father’s wrath should comfort, not scare you. You need to know the lengths to which God has gone to deal with those things which seek to hurt his kids. 13. At the start of 2013, E2R passed a million hits. Then at the end of the year we passed two million. This is encouraging for it says that the good news of God’s grace is spreading. Indeed, E2R is now read in 213 countries! But the downside is I am no longer able to answer all the questions or respond to all the messages that you send me. This saddens me because I love questions and I don’t want yours to go unanswered. So I wrote a post called 8 ways to get your grace questions answered. It has turned out to be the most ignored post I have written. Haha! I want to thank all of you who have read, responded, shared, passed on, reprinted, translated, and otherwise passed on my message of grace. Perhaps you did not agree with everything I wrote but that’s fine. Conflict and disagreement are a normal part of any healthy relationship. The important thing is not that we agree on everything, but that we stir up one another to love and good works. I have been stirred. I hope you have too. Thank you so much for all you do Paul! God is working through you in a powerful way!! I am just thankful for this ministry. I look forward to posts from Paul. Truth is spoken here by the way that this ministry uses the Word to answer questions about the Word. Few are able to do this. Looking forward to 2014 and 4 million hits! 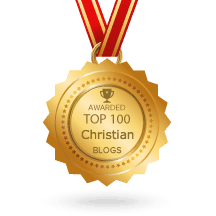 Your blog has been a real blessing for me this past year. I have, thanks to E2R and other spiritually guiding blogs, managed to loosen my fear of the Wrath of God and begun to see just how our Father can really be. Additionally, I am learning to face our great adversary and have found just how comforting and helpful prayer really is. I think one thing that has helped me the most this year is to realize that the words in red are not strict rules but are proverbs, Mat 13:11-13, meant to teach those who truly desire to be sons and daughters of our Father. Also let us not forget that God is Love and that following him and living through Christ means that we must also love unconditionally. Jesus was so full of love, kindness, compassion and grace. It takes more power to use kindness and compassion than to throw stones to kill someone. And Jesus didn’t throw stones when by the Law he could have. Even when the disciples and people requested it. Walking in grace! May 2014 be a blessed year for you and your family. Thanks for the kind words and those translations Lance. that is cool lance,you can never have enough translations,I like to dig,if it doesn’t make sense i want to know why,of course then you get accused of twisting it to fit your own opinion . I love this article! can i share this one Paul? say. To God be all glory forever and ever! Amen, so be it, Amen!!!!!!!! Thanks Paul, The church is waking up to Righteousness. Thanks for the brothers and Sisters who will stand out and let their light shine. Grace and peace to you! Paul, Resolution conflict is one of the most healthy processes ever. I thank God for you and your heart. Your willingness to lay your heart open challenges all of us – whether anyone will admit it or not – it does! Most especially, I thank the Holy Spirit for knowing the right gift for the right occasion, i.e. a spoon for soup, a cup for a drink, a fork for meat, etc. As we gather around His table, He provides the Bread and Wine (Christ Jesus), the place settings, the utensils, etc. for our true Communion with Him and one another. Thanks for being willing to be served! Dave E How can you go to who you are? Well Paul, as you know, you cannot please all the people all of the time! But hey bro, you have put yourself out there and given anyone, who is prepared to read your blog properly, more than enough ‘food for thought’. Keep on keeping on! Here’s my terribly insightful and thought provoking comment, Paul: Thank you. Thanks Paul. God is blessing us through you. Thank you for all your hours put in to give us better understanding.I must say I have learned much through your site.Blessings to you. If your ever in Pittsburg my son has a brewery there called “Roundabout” His wife is from Christchurch. I don’t drink, but I know some people are find with it.They would welcome a fellow New Zealander. Thanks Sandy, I’m not much of a drinker either, but I do enjoy meeting new people on my travels. This blog really helped me grow spiritually. Made me want to read A LOT (which I don’t do before. haha) Also, some of the questions that I’ve been asking my whole life was answered here and taught me how to ENJOY JESUS. Thank you Paul. You are a blessing! Actually,I was too late to discover this site,it was just almost at the end of the year but one thing I learned is that your preaching sir Paul the TRUE GRACE MESSAGE.I know it is impossible that you could come here in the Philippines,specially in our town but I long for it because it will be more impact for the Filipinos to hear you preaching live.